Founded by Tony Mills, M.D., an internationally recognized men’s health and H.I.V. 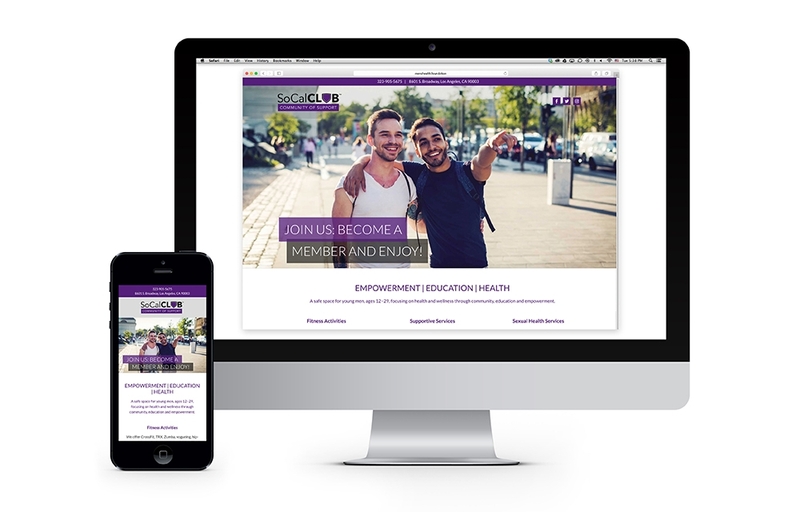 expert, The Men’s Health Foundation connects men at risk to comprehensive healthcare and wellness through education, collaboration, and advocacy, inspiring and empowering all men to live longer healthier and happier lives. 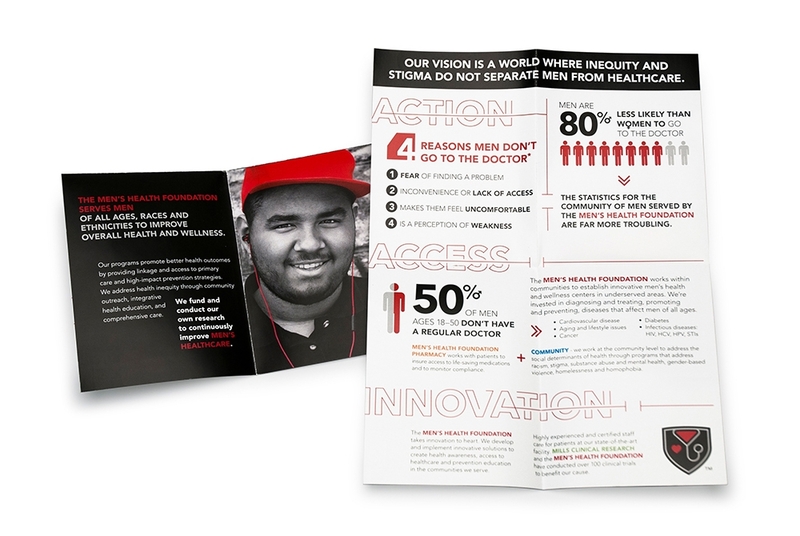 We work with the Men’s Health Foundation team on various programs, events and initiatives to create ownership of the key elements of their mission—prevention, treatment and well-being. 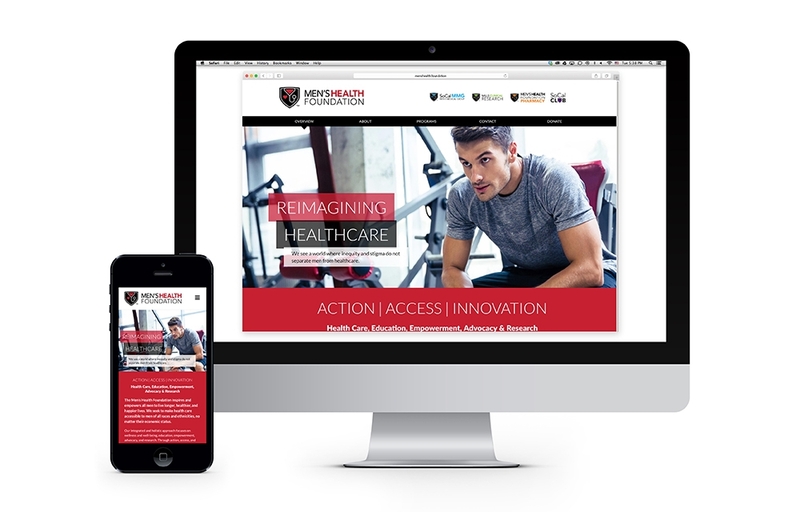 An identity system was created to accommodate all 4 divisions—Men’s Health Foundation,Mills Clinical Research, SoCal Men’s Medical Group and Men’s Health Foundation Pharmacy. 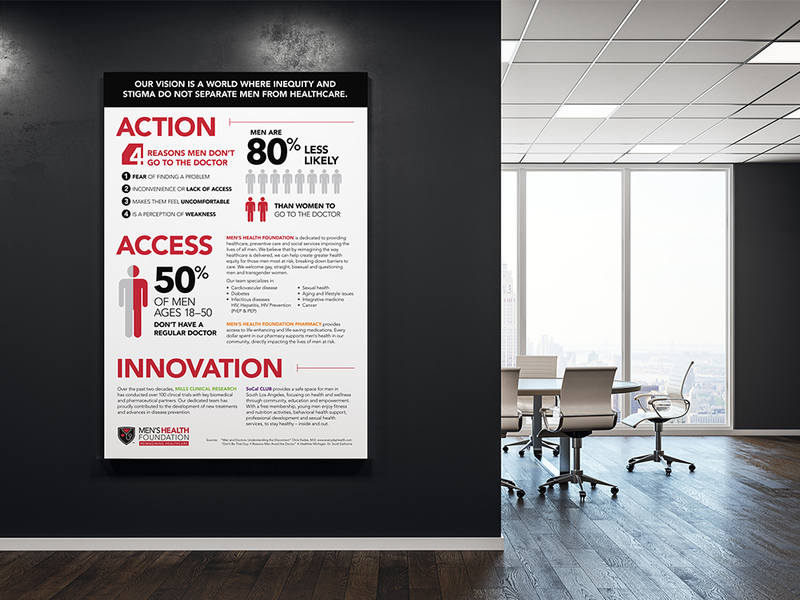 The system creates a synergistic look for all divisions and broadens the reach of the practice by creating ownership of key elements of their mission—Healthcare, Education, Empowerment, Advocacy & Research. 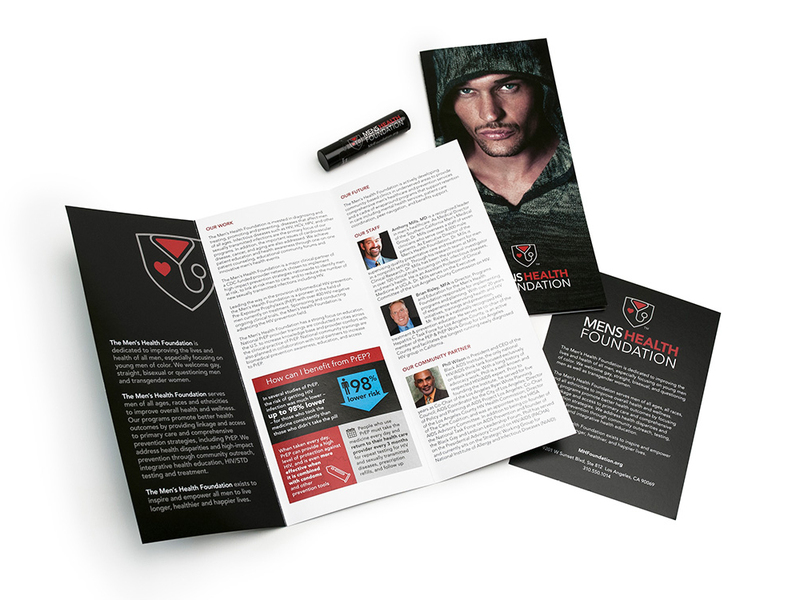 The branding was then extended to marketing materials and a website to build awareness for the foundation. 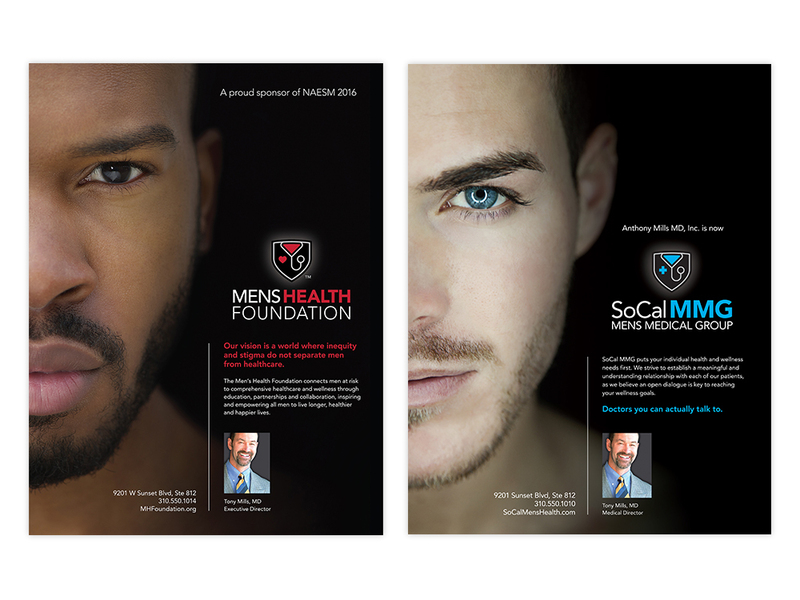 Logo and identity system for Men’s Health Foundation, Mills Clinical Research, SoCal Men’s Medical Group, and MHF Pharmacy. 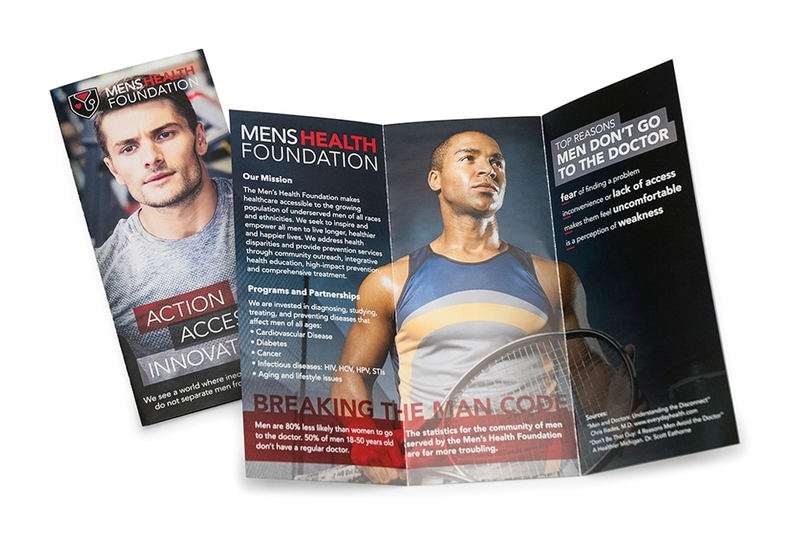 Men’s Health Foundation marketing materials build awareness for the organization and its mission. Materials include brochures, postcard and promotional lip balm for use as a giveaway a health fairs. The SoCal Club, located in South LA, is a safe space for young men ages 12–29 that focuses on health and wellness through community, education and empowerment. 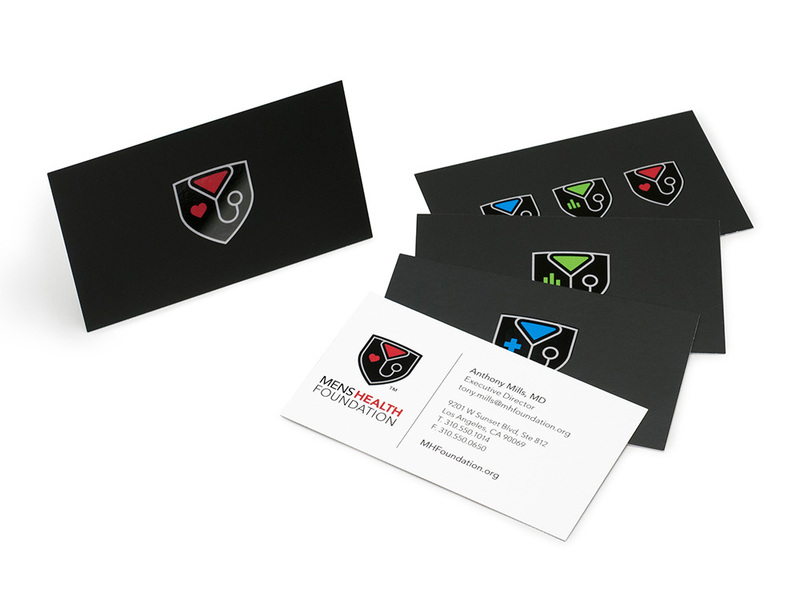 Alternatives worked with founder Dr. Tony Mills, MD, to create a brand identity that is an extension of the MHF divisions. The branding was translated to the club interior, website and support materials, creating a welcoming and engaging environment where YMSM of color can feel safe, comfortable and empowered. 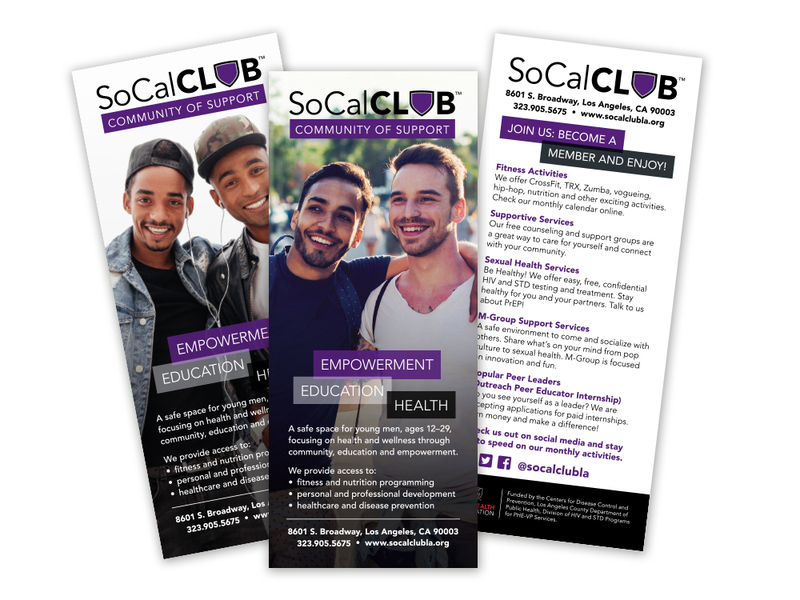 System of print brochures help promote different events and programs hosted at SoCal Club.